When we rolled out Project Tailwag in January of 2015, Morningstar worked with us to make access to many of their subscription-level services available for free to Tailwag users for a limited time. This trial period will expire on June 12, so we wanted to 1) explain which Morningstar services will still be available for free to all Redtail users, 2) make all Redtail users aware of exactly which Morningstar services will then only be available to licensed Morningstar Advisor Workstation or Morningstar Office users and 3) provide Morningstar support contact information for Redtail users who are interested in licensing one of these Morningstar products in order to retain access to these valuable services. Note: while this general trial period that has been available to all Tailwag users is coming to an end on June 12, after that date existing Redtail users who upgrade to Tailwag as well as new Redtail trial users will receive a one-month trial access period to these Morningstar services within Tailwag. 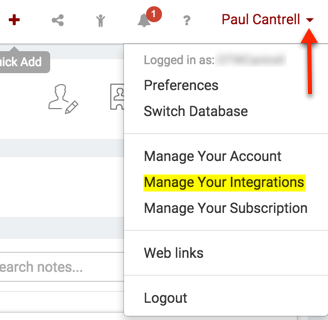 Your database users can then take advantage of the integration features with Morningstar, based upon which services you are subscribed to. 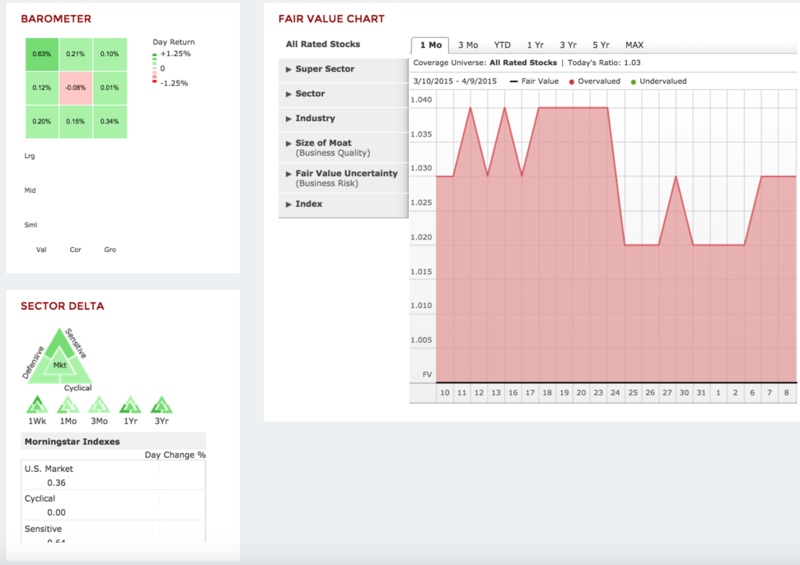 Morningstar Market Monitoring Tools, including the Morningstar Market Barometer℠, Sector Delta graphics, Fair Value Chart and Morningstar news content. Portfolio-level Reports: Including Portfolio Snapshot™, Portfolio X-Ray® and Stock Intersection℠. In addition, all Morningstar Office subscribers and Advisor Workstation subscribers who license analyst research will have access to analyst research within the Morningstar Report. 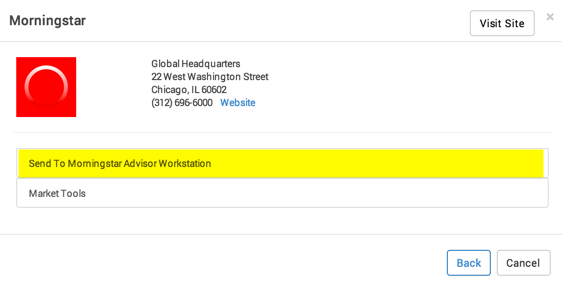 If you license Morningstar Advisor Workstation, you will have access to all of the capabilities above, plus you can create an .xml file for a contact from Redtail, suitable for import into Advisor Workstation. 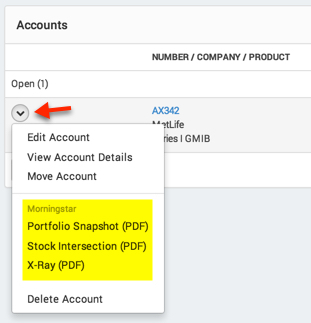 Clicking this "Send To" option will download an .xml file, which you can then import into your Morningstar Advisor Workstation account.